Adrian and Julia run AB Fruits fruit and veg shop in Ironbridge, Shropshire. It is a small family run business established for 35 years. 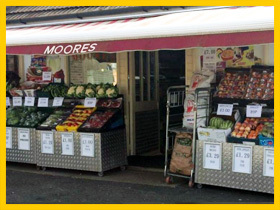 As well as stocking a wide variety of fresh fruit and veg AB Fruits also sell groceries, frozen food, chilled food, cakes & biscuits, greetings cards, confectionery and hot food to take away. They also supply wholesale fruit and vegetables. 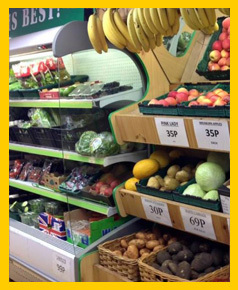 AB Fruits have been customers of Lewis Food Wholesalers for over 15 years. They continue to buy from us because of our competitive prices, the quality of our products and the service we provide. Julia said "you always have what we want when we get there, there's always something new and you have good variety.